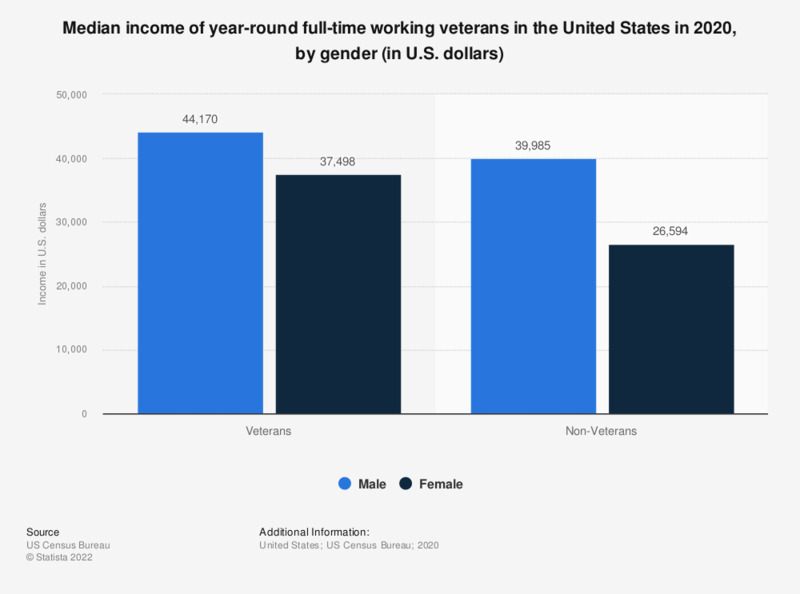 This graph displays the median income of veterans in the United States in 2017, by gender. In 2017, the median income of female veterans amounted to 35,517 U.S. dollars per year. “Income” refer to salary, wages, and self employment income. “Year-round full-time”(YRFT) refers to employment of 50 or more weeks per year and 35 or more hours per week. Median earnings are calculated for the YRFT employed population with earnings greater than zero.